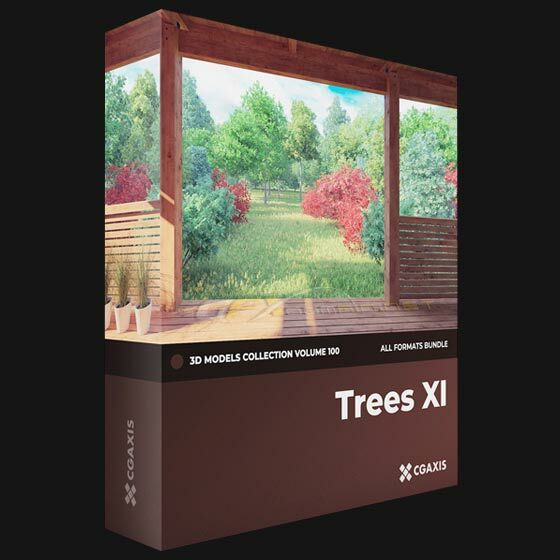 Trees 3D Models Collection Volume 100 by CGAxis is a large set with 54 models of trees and it is the XI trees 3d models collection. In this set you will get 54 deciduous trees in two seasons: winter and summer. This collection contains several species, such as white oak, sugar maple, quaking aspen, american sweetgum, american elm, river birch in many different shapes and sizes. Is it possible to make a torrent?